The Australian Variety Theatre Archive (AVTA) is a research website devoted to popular culture entertainment in the Australasian region between circa 1850 and the mid-1930s. This year, 2017, marks its sixth year of publication. 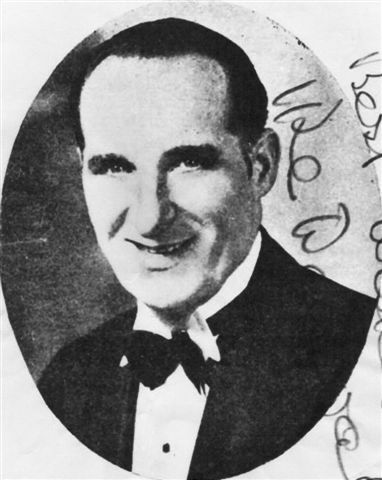 The website went online on 10 May 2011, the 146th anniversary of the birth of Australian vaudeville entrepreneur Harry Clay. Since then the archive has published almost 3,000 new records. Many of these entries have also been updated. Two priority projects were undertaken during the past twelve months to improve the AVTA. These have been completed. The hyperlinking of all people, troupes, and organisations mentioned in any online pages to their respective entries within the AVTA. Adding hyperlinks is now standard practice whenever a new entry is published. Replacing abbreviations for all references and citations to all PDFs published in the Works section (1840 to 1935), and adding hyperlinks to any newspaper reference digitised by the National Library of Australia (Trove). This is also now standard practice whenever a new production is added to any Works PDF. Two additional projects initiated during the past 12 months will continue to be addressed over the 2017/2018 period. Creating more Research Notes PDFs. The rapidly increasing availability of digitised resources – especially the Australian National Library’s digitised newspaper service, Trove – means that the traditional researched biography can now be out of date almost as soon as it is published. The Research Notes alternative therefore provides interim historical insights. In addition to the above projects 170 new entries were also added. This involved 116 new agent entries and 54 new works entries. 9 new sections and 7 new Research Notes PDFs were also published. Several biographies were updated and expanded, too, – notably those connected to Ike Delavale. On 10 May 2017 the Australian Variety Theatre Archive comprised 1,366 agent entries (people, organisations, and miscellaneous industry activity); and 1,592 individual works entries (not counting revivals). To put this in perspective, that’s more than double the number of entries (up to and including 1935) currently recorded in AustLit: The Resource for Australian Literature, and at least five times as many Australian-written works identified by AusStage for the same period. * Both AustLit and AusStage are university-operated, multi-million dollar taxpayer-funded databases. The AVTA is a privately-operated resource that hasn’t cost Australian tax-payers a single cent. * NB: AusStage also records non-Australian-written productions (or events) produced in this country, which makes it very difficult to isolate locally-written works. AustLit, on the other hand, focuses on Australian works only – albeit with some basic records identifying any international sources for Australian adaptations (these are not included in the comparison count as they can be easily identified in the database). He would also like to thank the 21,292 people who visited the site between 10 May 2016 and 10 May 2017 (a new record). Of these 7,425 people investigated the Archive further, at an average of 2.86 pages per person. The busiest month was April 2017 with 2,537 visitors. The AVTA was accessed by people from almost every country on the planet (notably absent were some countries from the African and the Middle-Eastern regions). While Australia was naturally the dominant place of origin for these visitors, significant numbers of people also looked at the site from the USA, UK, New Zealand, France, Canada, Indonesia and Germany.